You should have this jewelry set near you all the time since it is so fashion and eye-catching. You can wear it and have it with you to support you wherever you go. 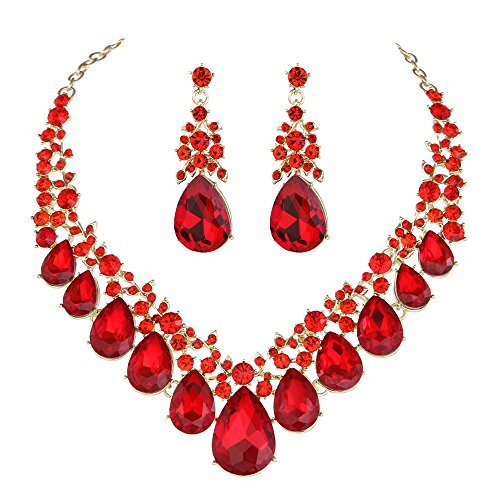 Make a statement with this wonderful jewelry set. 5.Wrapping: Come with some spare crystals(if necessary), and a box or favor bag (depend on product size). If you need assistance please contact us. If you have any questions about this product by Youfir, contact us by completing and submitting the form below. If you are looking for a specif part number, please include it with your message.